Kennington Bioscope are delighted to announce a further sampling from Kevin Brownlow’s extensive collection of vintage 9.5mm prints. For those unacquainted with the format, 9.5mm was a home movie gauge launched in the 1920s and is of similar quality to 16mm. Many silent films survive only in this form. Kevin began his career by collecting films on 9.5mm in the 1950s. 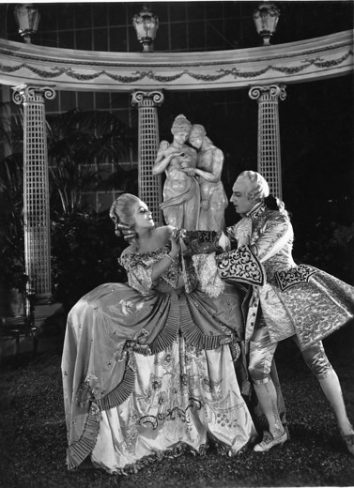 His programme this time includes a five-reel print of Casanova (1927), directed by Alexandre Volkoff and starring Ivan Mozzhukhin, Suzanne Bianchetti and Diana Karenne. This spectacular production was shot on location in Venice and was one of the few tinted prints ever released by 9.5mm distributor Pathescope. It’s also quite risqué for the time!